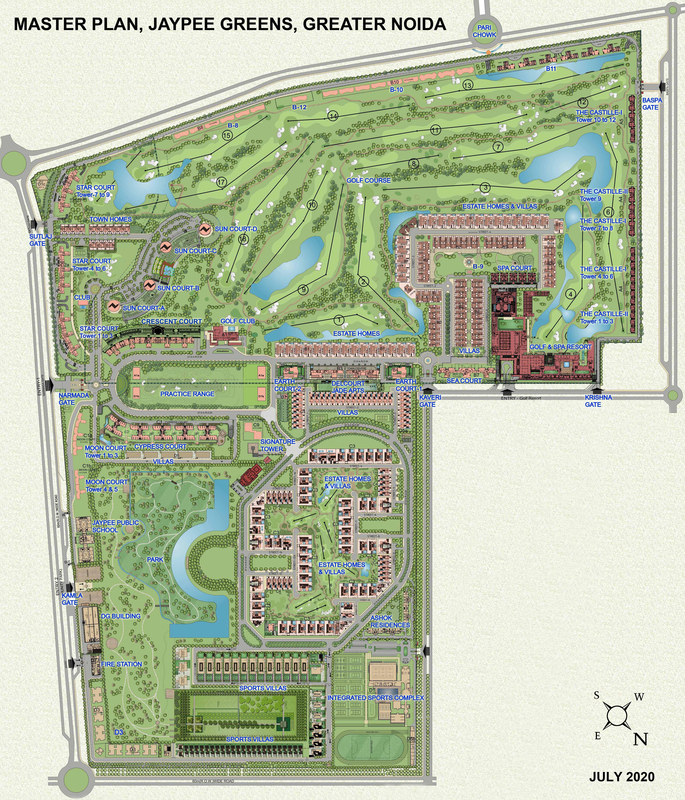 After the success of Sun Court Tower I & II, Jaypee Greens launched Sun Court tower III, a complete glass cylindrical building of 4BHK apartments in Greater Noida adjacent to 18-hole Greg Norman Golf Course. 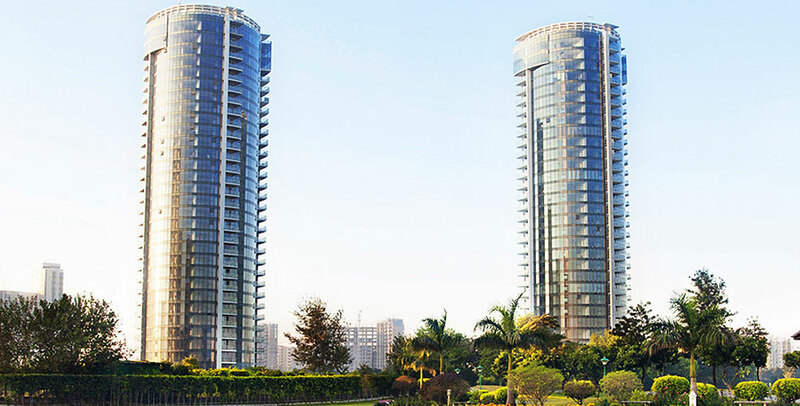 An epitome of success and unsurpassed design of a penthouse as well as uniquely designed 4BHK apartments, the immaculate views of beautiful lakes and landscaped gardens from these apartments lends this 30-storey high tower immense exclusive luxury for select families, who will reside here. The previous edition of these exclusive luxury towers, Jaypee Greens Sun Court awarded 'Best Apartments India' by CNBC, comprises of 3BHK apartments and offers a unique experience of living in a complete glass cylindrical masterpiece with uninterrupted breathtaking views of the golf course, landscaped arrival court, grand lobby and podium entertainment terrace.. With options ranging from 1BHK, 3BHK and penthouses in tower I and 3BHK and penthouses in tower II, Sun Court scales up 30 floors and 100 m. in height. Sculpted in wood and Italian marble they create an ambience for celebration of life.